Happy Friday! 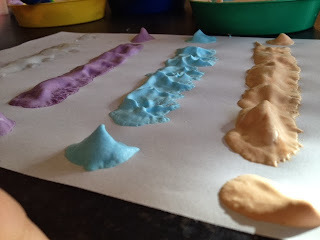 During the Easter holidays, I will be running some children's Easter crafts workshops in Cambourne followed by a 'Crafty Cafe' every Thursday thereafter. 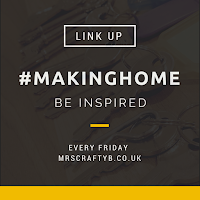 I wondered what better opportunity to begin integrating my home crafting, my Crafty B's craft groups, my childcare business and my blog then to make sure I get some tutorials and crafty tips, ideas and activities on here on a regular basis! So welcome to what will hopefully be a regular feature, #MiniMakers. 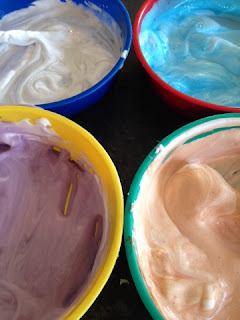 This post is all about my little B's favourite crafty activity; puffy paints. 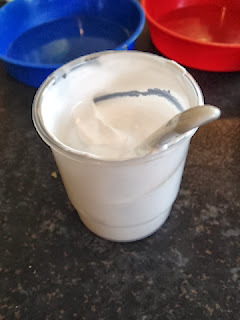 There are so many recipes out there for puffy paint, some of which require microwaving to make them 'puff' but this one uses shaving foam and we love it because it smells nice and saves electricity! - Food colouring or paints. - Paint brushes or the like or just your hands! 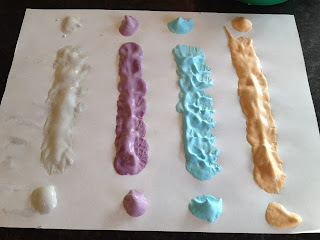 Start by mixing equal parts PVA and shaving foam. Our mixture sometimes going a bit 'unpuffy' here but its ok, you can add a bit extra afterwards. Add a bit of colour. These dishes contain different examples of types of colouring. The blue pot has a metallic poster paint swirled through it for a marble effect. 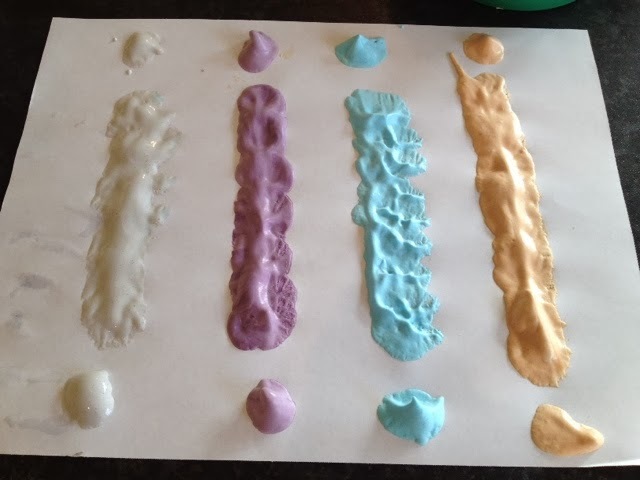 The blue paint in the red dish contains finger paint. The green dish is brown poster paint and the yellow dish contains purple food colouring. Your puffy paints are ready to go! Baby B and I got in too much of a mess when we did this yesterday for the pictures so I didn't get examples of his beautiful artwork but I did manage to resist his hands in the pots in the beginning whilst I painted up these little examples for you. Our projects with these have included a paper plate sunshine, a white fluffy cloud (just leave the colour out) and a hand print tree. We painted a trunk and used brown handprints for the branches and green fingerprints for the leaves. This would be a great seasonal activity to demonstrate the changing colours of the trees outside! These paints are best used on card or thick paper as they can make thin paper a bit soggy. 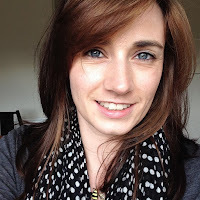 - Communication and language - Talk to your little ones about what they are doing. How does it smell? What colours are the using? How does the paint feel? - Physical development - Using brushes, sponges or other paint applicators will help with motor skills. - Personal, social and emotional development - Children can feel a sense of achievement from their creations. - Literacy - Controlled strokes of the paint all count towards practice for writing. - Mathematics - Can your little ones counts how many colours you are using? Can you paint numbers? - Understanding the world - Is there a theme to your painting? 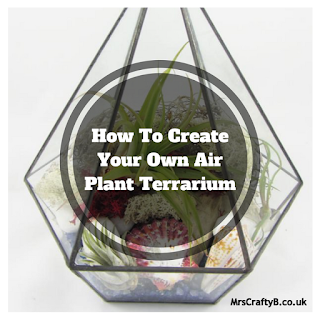 Are you creating outdoor scenery? - Expressive arts and design - Allows little ones to be creative. I hope you give this one a go. 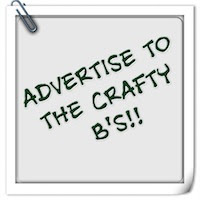 Don't forget to share your puffy paint creations on the Mrs Crafty B Facebook page. How fun!! My kiddos will defiantly enjoy doing this! It really is fun. Let me know if you give it a go!